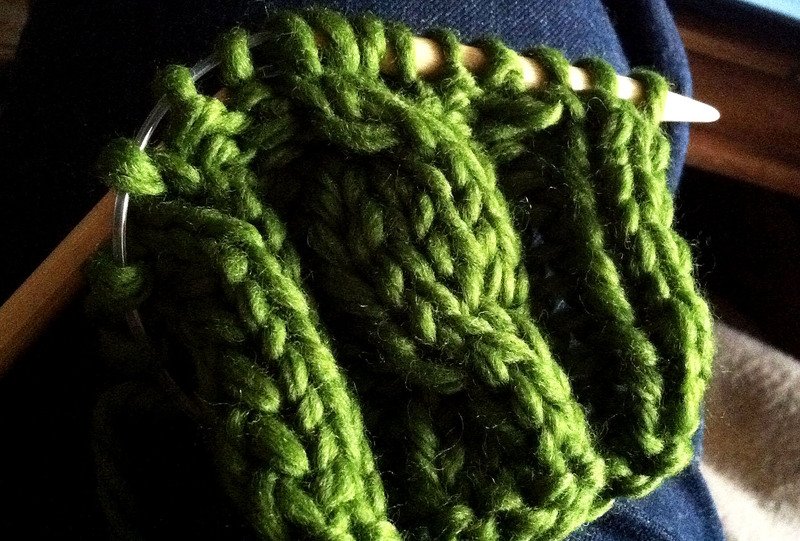 Here is a sneak peek of one of the items I’m making for Saint Patty’s Day. It is going to be a all green day with some four leaf clovers for luck. Enjoy. As you can see I used Cascade Yarn’s Lana Grande, it isn’t superwash so I will keeping the headband away from the washing machine. 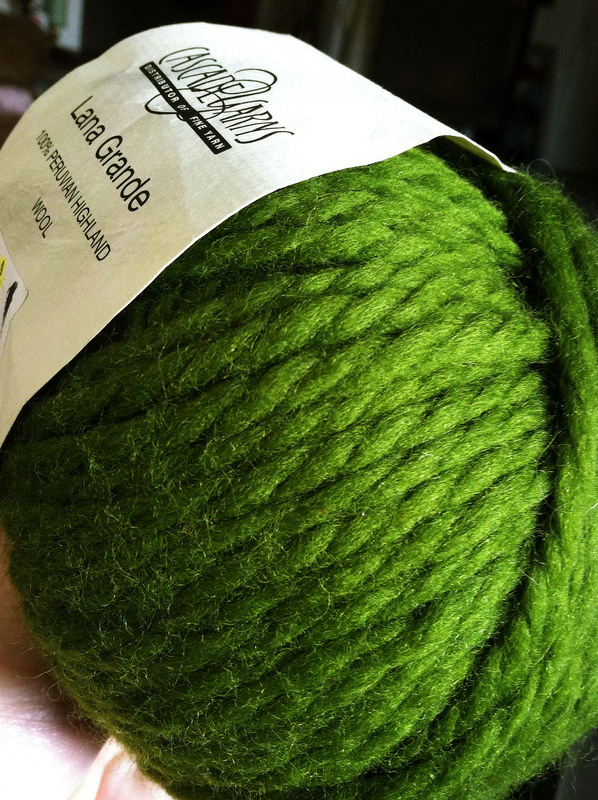 I’ve used this yarn in the past to make a felted bags but it is soft enough for head gear and comes in some great colors. I noticed that each photo the green looks a little different, the green in this first photo is the correct green. Well it is correct on my screen, everyone might be seeing a different shade. 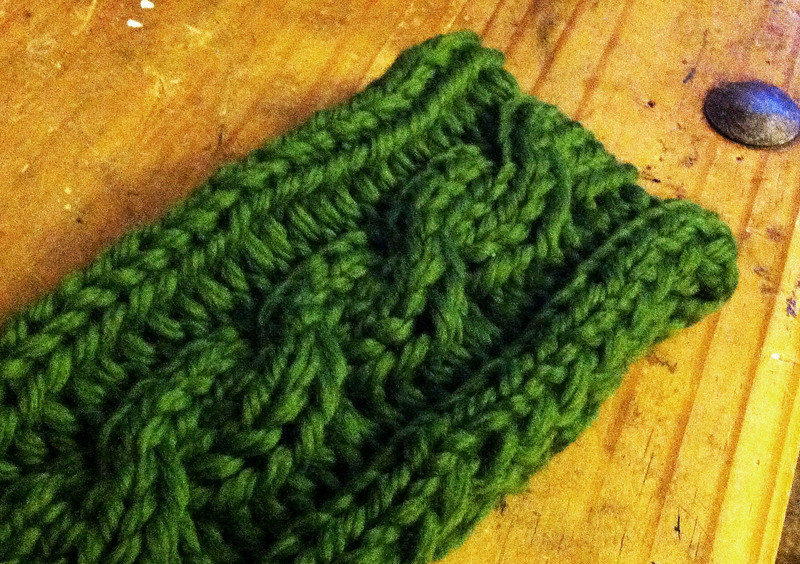 The headband was a quick knit up with the chunky yarn it is Winter Morning from the While They Play blog. Really love the pattern and with the grande yarn I was done in about an hour, I’m going to need to make some more of these. Hope you enjoy the photos. Love to hear this! I love coming up with holiday knits, can’t wait to see what you come up with.